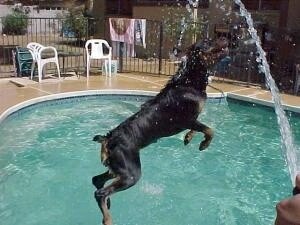 Here is Ziggy (of Ziggy Stardot and the Bengal Bazaar), a purebred, tri-colored Bull Terrier at 14 months old playing his favorite game, Frisbee. 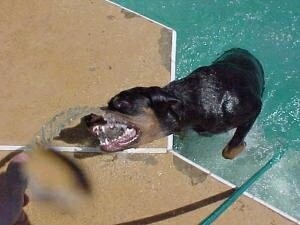 Once he gets it though, he doesn't want to give it back! 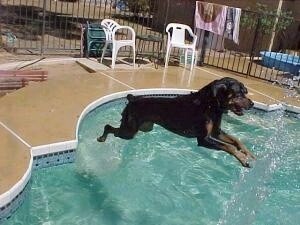 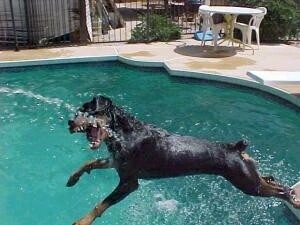 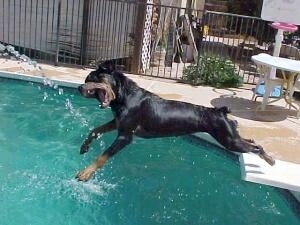 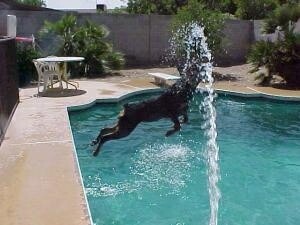 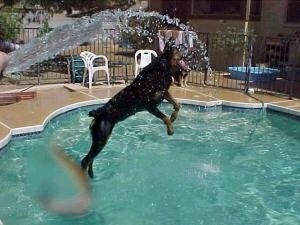 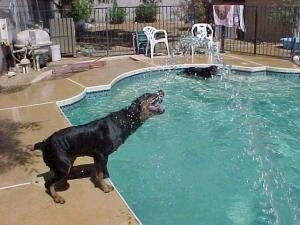 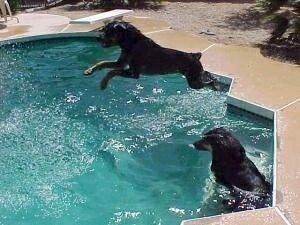 Rottweiler having some water fun, jumping into a pool and playing with spraying hose. 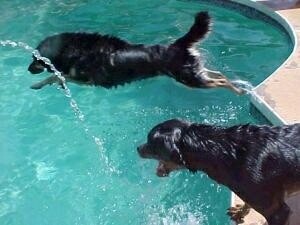 Papillon performing in agility, photo courtesy of Ayers Pampered Pets.